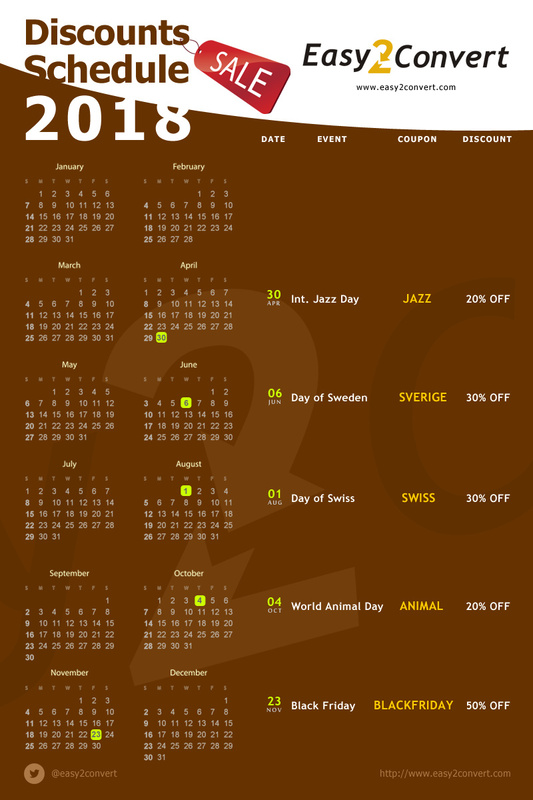 We’re a bit late with posting our discounts calendar this year. However, date is different but meaning is the same – to give you an excellent opportunity to purchase our software at the best price. The schedule contains all details for a shopper – dates, discounts, coupon codes. 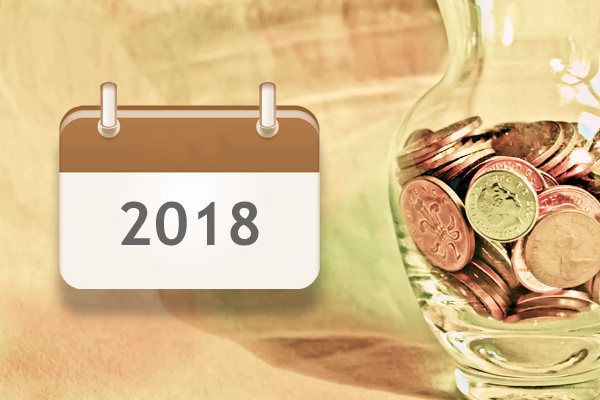 All you need to save on Easy2Convert image software during the year. There are five grand sales in the plan. 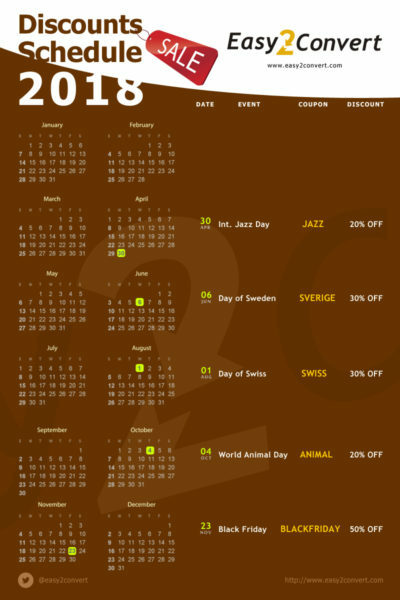 International Jazz Day, World Animal Day, old good Black Friday and few national holidays of Sweden and Switzerland. As usual, there is more. Additional discount coupons will be posted via our social accounts for some special events. You may catch these “special days” by periodically checking our messages and tweets. To do so, don’t forget to subscribe to our news accounts in the social networks. Don’t miss general events of Easy2Convert’s sales this year. Save this schedule on your disk or bookmark the page and come back here time to time to save big on our image software, with up to 50% off! This entry was posted in Offers and tagged calendar, coupon, discount, sale on April 9, 2018 by Easy2Convert. Not bad, keep up going with your bargain calendar! I visited various similar websites but these discounts are genuinely fabulous and THEY WORK! I am truly grateful to the owner of this site who has shared this great calendar with software dicsounts at this place.